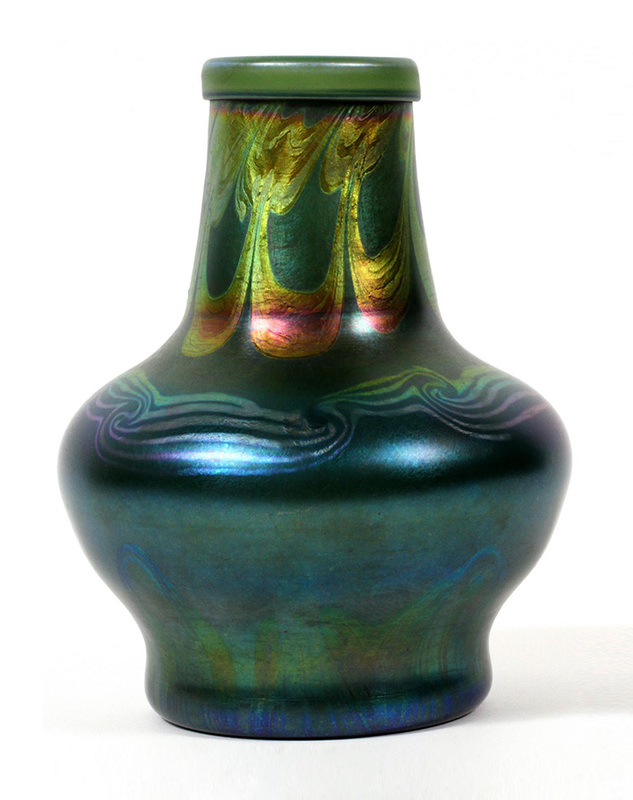 Leslie Hindman Auctioneers held their 20th Century Decorative Arts auction last Thursday, October 23, 2013, with some impressive results, especially for French cameo glass. Much of the French glass was consigned from the Adrienne Krumhorn Trust of Highland Park, Illinois. It was high quality, fresh-to-the-market, and estimated low — red meat for the lions. Even condition problems, which normally are kisses of death, did not deter buyers. 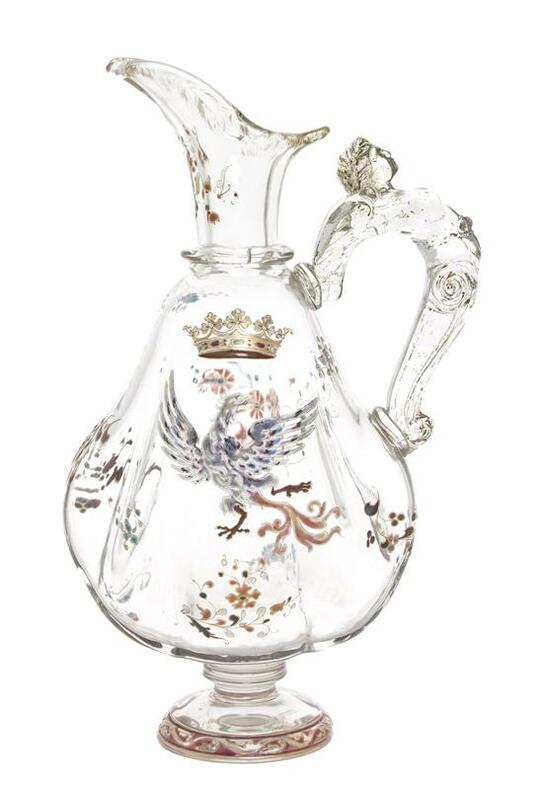 The tone was set from the beginning, with lot #1, a 12½” Gallé ewer, with a cracked handle. 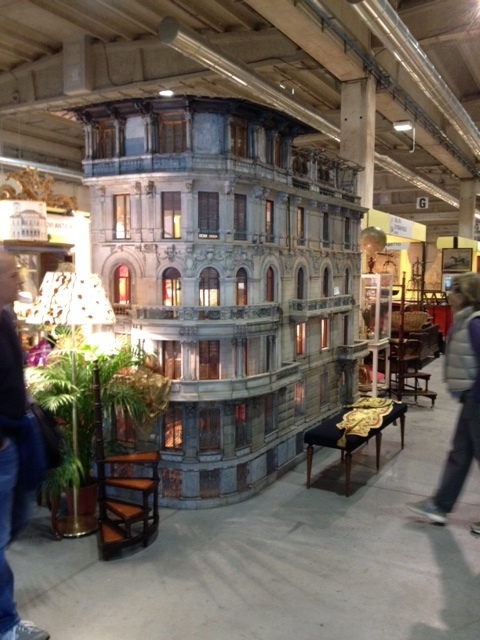 It soared past its pre-sale estimate of $1,000-2,000 to sell for $8,125, including buyer’s premium of 25%. Most of the French cameo glass lots at least doubled their high estimates, with many selling for much more. 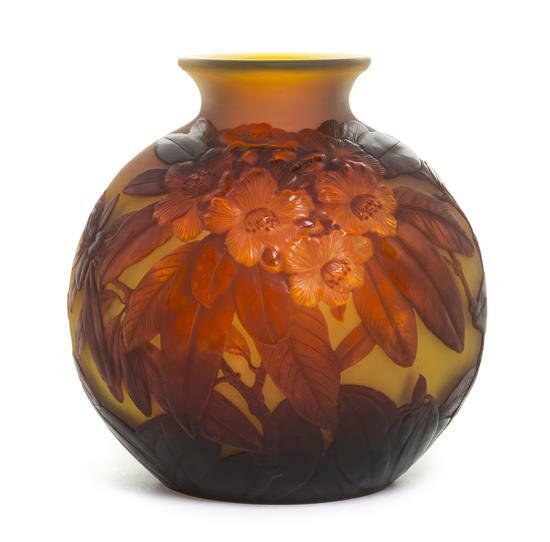 Lot #8 was a Gallé rhododendron blownout vase with a pre-sale estimate of $8,000-12,000. It wasn’t the best example, with only fair color. Regardless of my opinion, the lot doubled its high estimate to sell for $25,000. 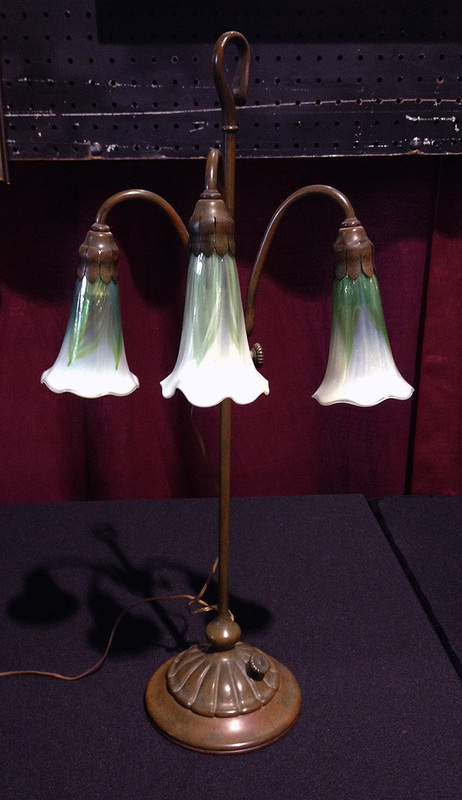 The most important French cameo lot of the sale was #28A, a Daum lamp with applied and wheel-carved dragonflies. It had several problems — weak color, a missing dragonfly tail, reproduction hardware, and finally a shortened base. Never mind the problems, don’t get in the way of a moving freight train. This auction was hot and there was no stopping it. 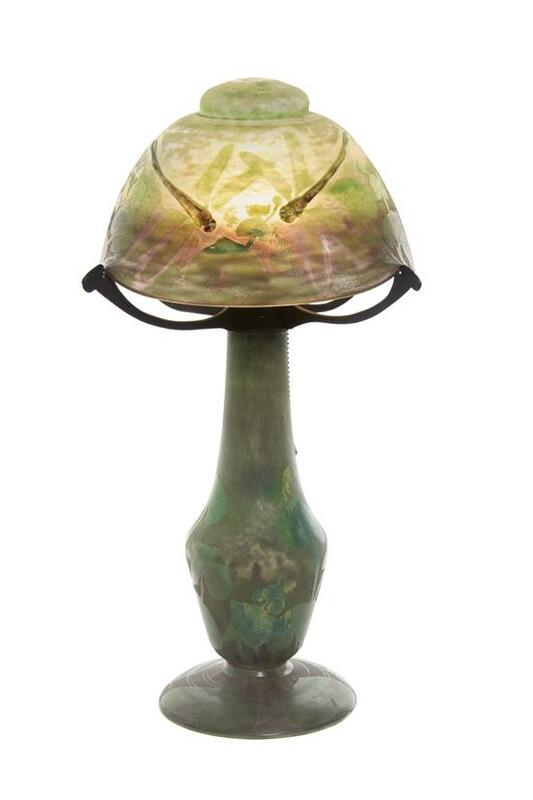 The lamp realized $47,500, approximately five times the high estimate of $9,000. I haven’t raised my prices on French cameo glass, but if other auction houses start having similar results, I will. Let me know what interests you, before that happens. For the complete results of this exciting sale, click here. It’s Sunday afternoon at 4:20 PM as I write this blog. 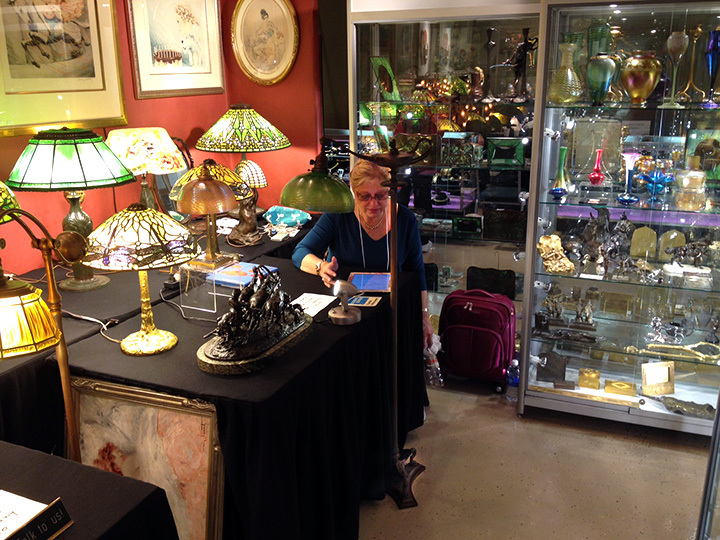 The Overland Park Antique Show was a reasonable success, with enough sold and bought to make us want to return next July, on the way to the Denver show. I had many preconceptions about the show, none of which were accurate. 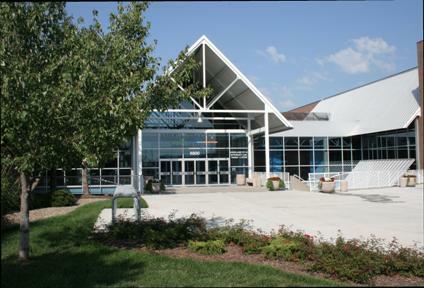 The show is in a modern exhibition facility that permits vehicles to enter. That’s important for a few reasons — first, we’re not subject to the weather; second, we don’t have to dolly the inventory into and out of the building, saving a lot of time; third, security becomes a non-issue. We decided to exhibit at the show because it immediately followed the Winnetka, IL show and made geographic sense. The show also changed management, which is almost always a good thing. The new promoter, Chris Miller, is a show dealer, so he knows the business from the inside. In the two times since he took over, the show has substantially increased in size, with better attendance. The show seems to be entering a virtuous cycle, where each successive show gets better through a feedback loop of more dealers, better sales and more attendees. Unfortunately we won’t be back for the March show, but we will for the July show. I’ll give you a little insight into why we left this show with good feelings. Our booth was huge and the rent was low — a rare combination. 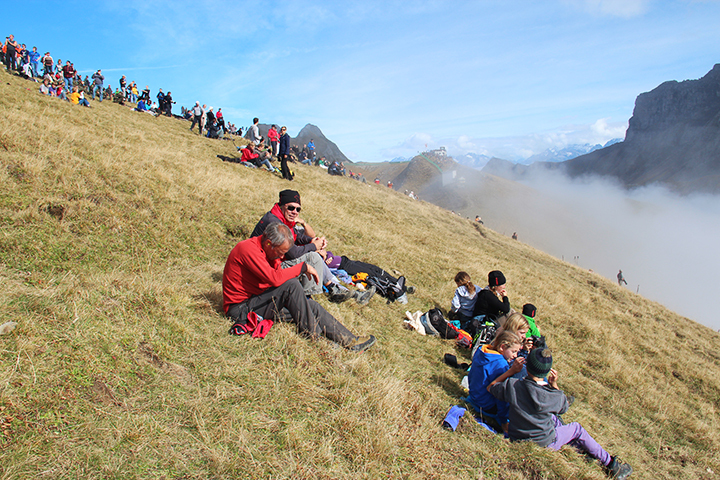 We were truly impressed with the hospitality of the locals. I can’t tell you how many people came into our booth to compliment us on our display and to thank us for coming. It was totally unexpected and very gratifying. One couple drove up from Dallas, Texas, 9½ hours, specifically to see us. Wow! Thanks. There was lots of interest from knowledgeable people, even if they didn’t make a purchase this time. Maybe next. 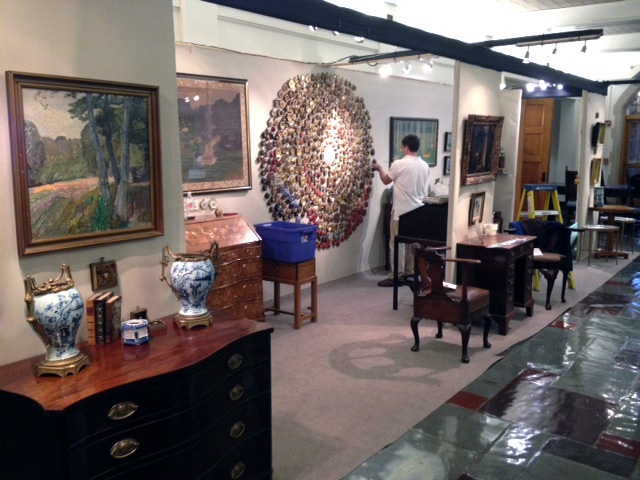 Thursday’s blog will cover the very strong Leslie Hindman 20th Century Decorative Arts auction. French cameo glass was ON FIYAH! Next Monday’s post will be from a guest contributor from England. 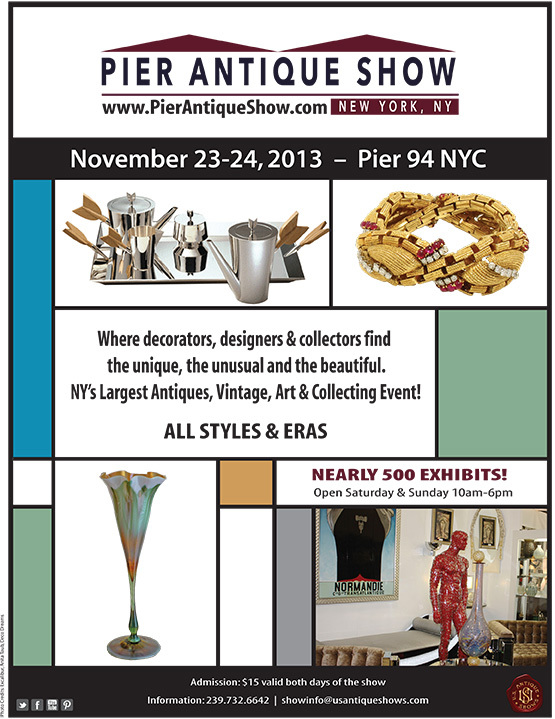 Next month we’ll be working from home base, exhibiting at the NYC Pier Show, November 23-24, 2013. The show is under new management, U.S. 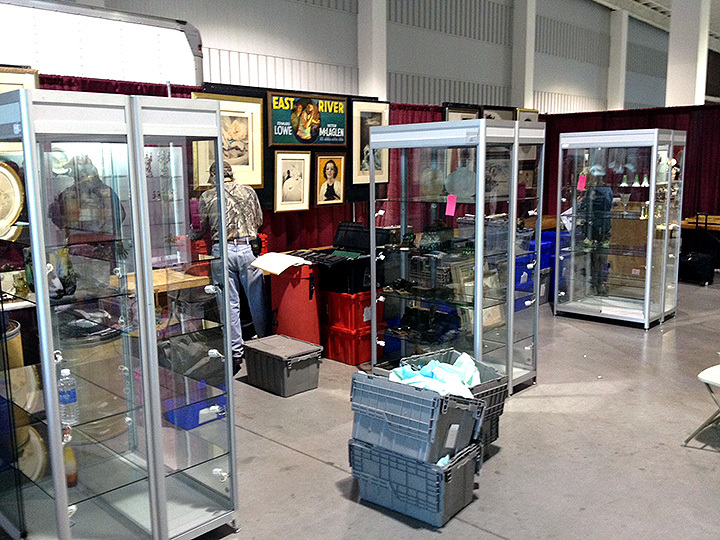 Antique Shows, which usually portends improvements. That will be our last show of the year, followed by the important Florida shows in January and February. Today, we started to set up our first show ever in the Kansas City area. 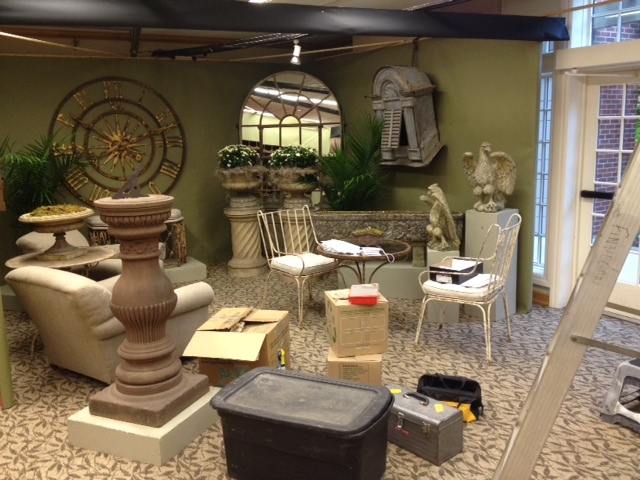 It’s the Overland Park Antique Show, to be held at the International Trade Center in Overland Park, KS. 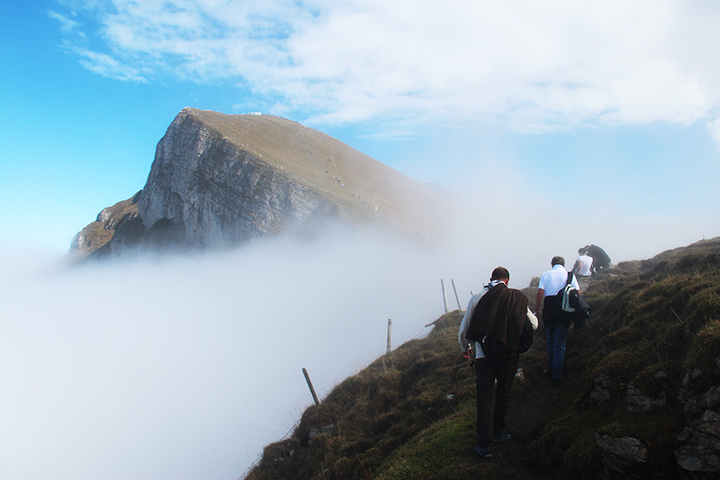 It opens to the public on Friday, October 25, at 10 AM and continues until Sunday, October 27, 2013, at 4 PM. We’ve got a lot riding on this show. 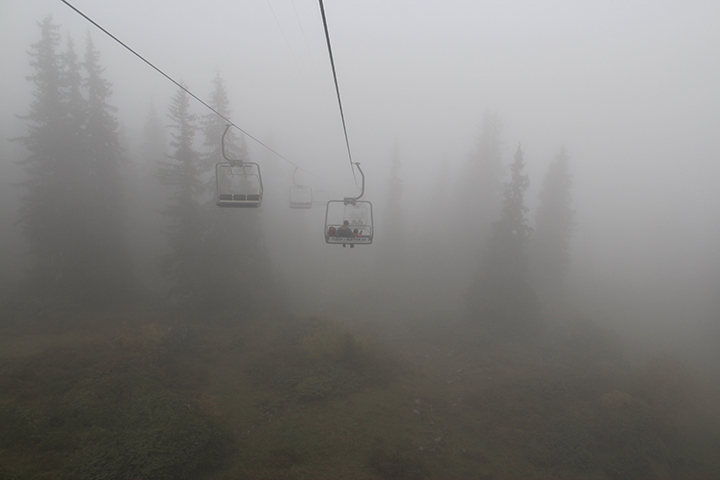 If it goes well, we’ll try again next summer on the way to Denver. If we decide not to return, we won’t make a dedicated trip to Denver. 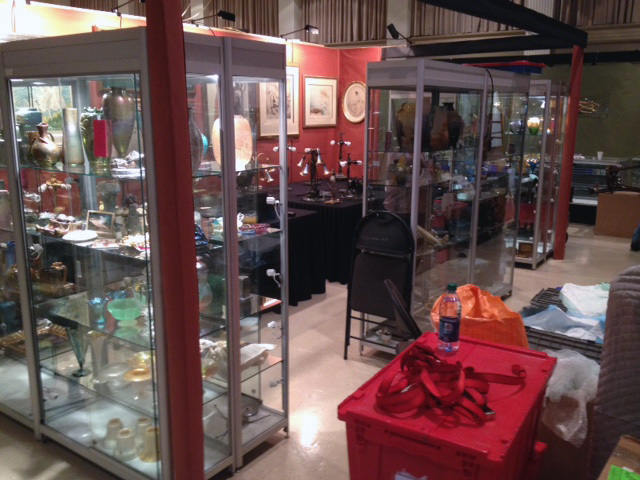 It will also impact our decision to exhibit again at the Winnetka Antiques Show next October, which will be held the week before the Overland Park Antique Show. The results of the show will help us decide how to juggle our show schedule, which changes as we add new possibilities and eliminate laggards. Tune in Monday for the results. 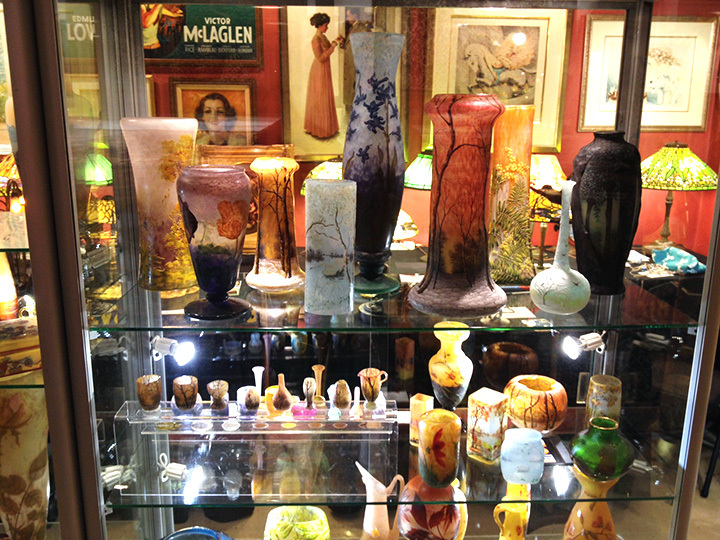 In the meantime, Leslie Hindman held a 20th Century Decorative Arts auction today with French glass, which was ON FIYAH! I’ll cover the results in full next Thursday. 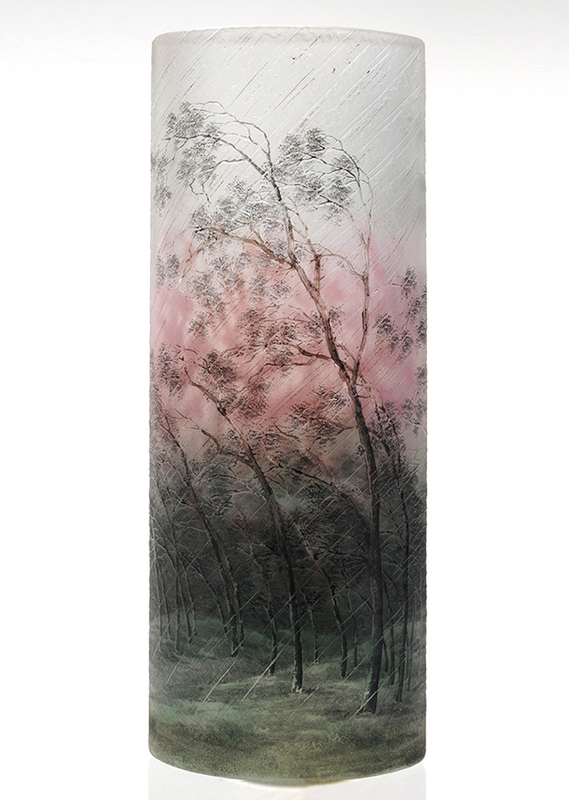 Heritage Auctions’ will hold their Illustration Art Signature ® auction on October 26, 2013. 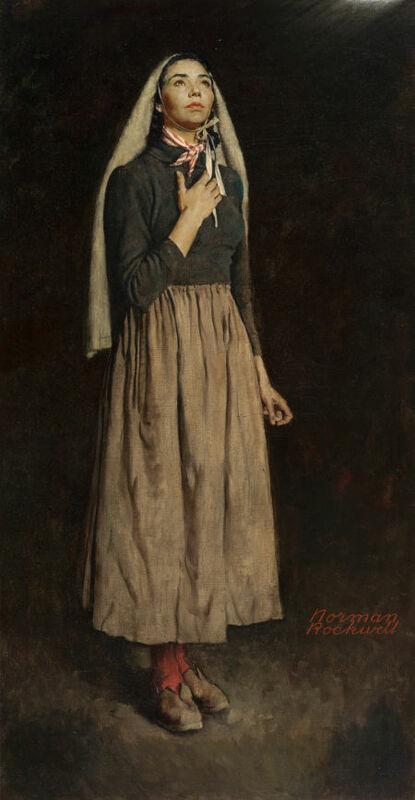 Included in the sale will be Norman Rockwell’s famous painting The Song of Bernadette, which was originally commissioned to publicize the 1945 movie of the same name, starring Jennifer Jones. It is one of Rockwell’s most reproduced works. The painting is expected to be the top lot of the sale, selling for millions. 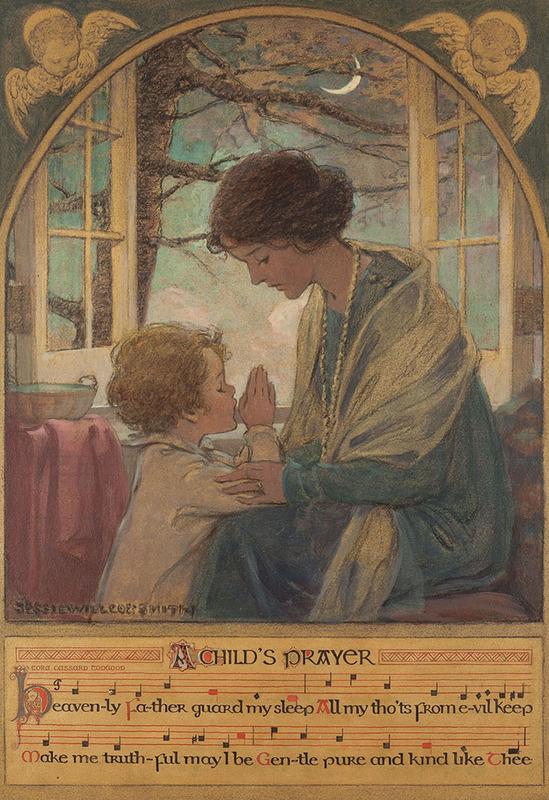 Other important artists included in the sale will be J.C. Leyendecker, Jessie Willcox Smith, Stevan Dohanos, Dean Cornwell, Gil Elvgren and Alberto Vargas. Gil Elvgren’s works are usually met with enthusiasm and spirited bidding. Lot #78071 will feature Elvgren’s 1958 painting, Lucky Dog, considered by many to be one of his best. It is likely to exceed its pre-sale estimate of $50,000 – $75,000. 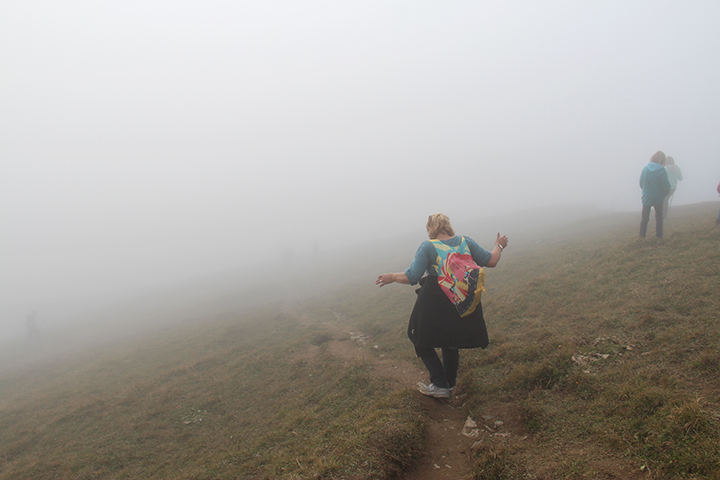 To say the least, this has been a memorable trip, with some nice highs and some unpleasant lows. 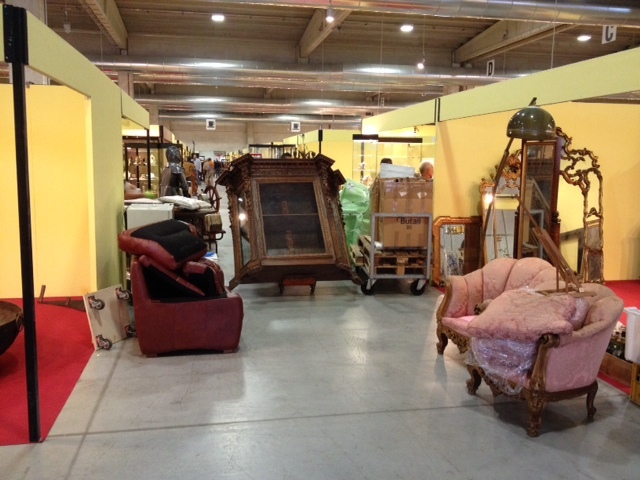 If you follow my blog, you know that I was invited to attend the Mercanteinfiera Parma (Parma Merchant’s Fair), which included airfare and hotel. It opened to dealers only on Thursday, October 3rd. Basically it’s a unique combination of the Brimfield and Miami Beach shows. As in Brimfield, the exhibitors unload and set up at the same time outside dealers wander about. 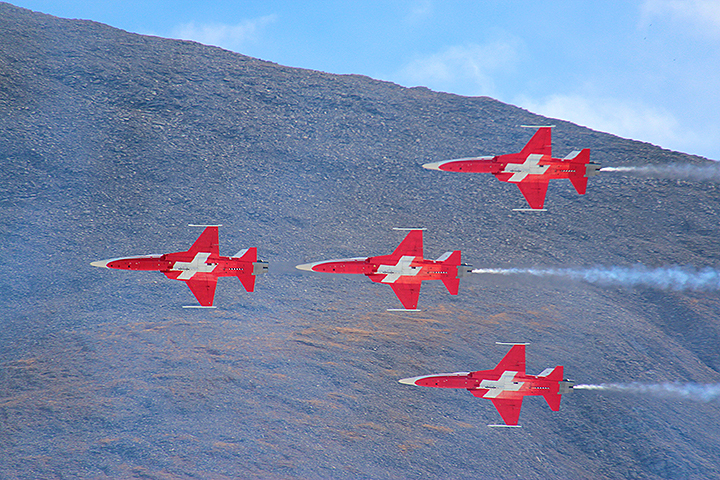 As in Miami, the show is indoors and opens to the public after the first two days of setup. 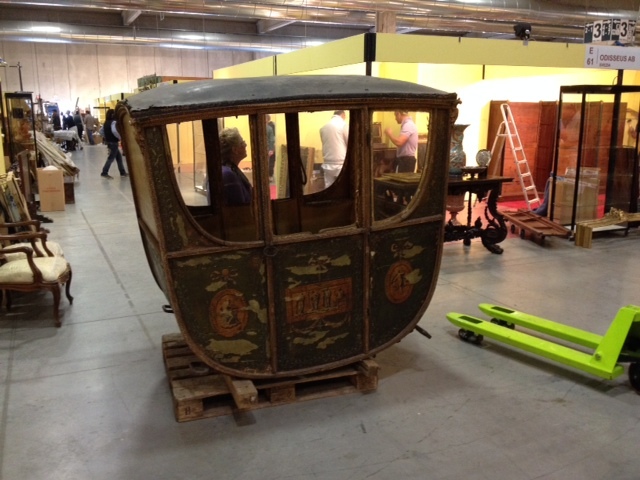 The show is very large, with about 1,000 exhibitors, spread out over three huge buildings. That may sound gigantic, but it’s my understanding the show used to be even larger a few years ago, filling six buildings. I suppose that’s why the fair is sponsoring outside dealers to attend the show. That would be great if an American city were to do the same thing for its big shows, like Miami Beach, but the odds of that happening are just about nil. Unfortunately, we had a couple of nasty problems, the worst of which was losing our passports. What grief! We had to spend all day Friday driving to and from the American Consulate in Milan to get emergency passports. That made it impossible to visit the show on Friday. Then amazingly on Saturday, we received a call from the police department in Milan, notifying us that our passports were found. What great news! What terrible timing! If only they had called the day before. Regardless, we were thrilled to get back our portfolio and made whole again. The portfolio contained our passports, some documents and a SIM card for my phone. Phew! Need a litter for an aristocrat in your family? Shopping the show was interesting. 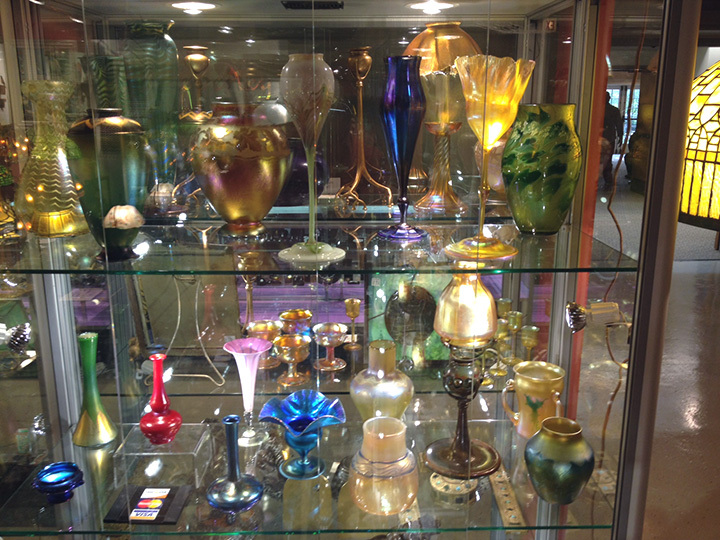 Our main focus was to buy good quality French glass by Daum or Gallé, but that proved impossible. We did find some Gallé and Daum, but none were the quality or the price we were looking for. Everything I already have in inventory is better quality and priced better than what we found. So what did we buy? A 1960s Pan Am model airplane; a beautifully painted enamel on copper plaque of Leda and the Swan; a wonderful Sandoz ceramic fish; a period glass Coca-Cola tray; and five 1920s German bisque naughty dolls — not what you expect to find in our booth at a show, but different and interesting. Now for the story of the German naughties. 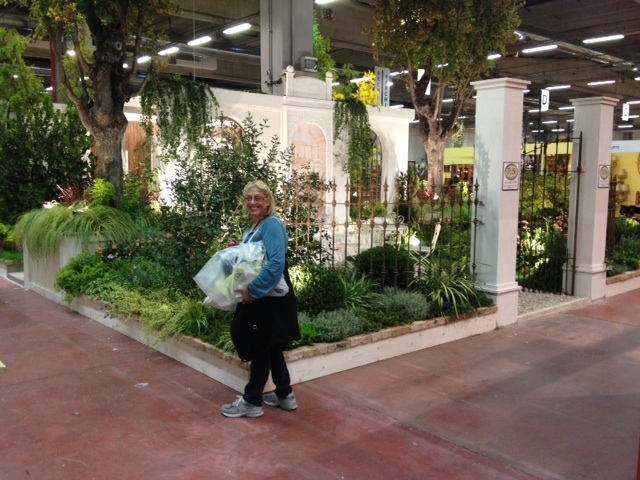 We were running out of time on Saturday, our last day at the show. We found a booth with five 1920s German bisque naughty dolls, with original wigs and clothing. 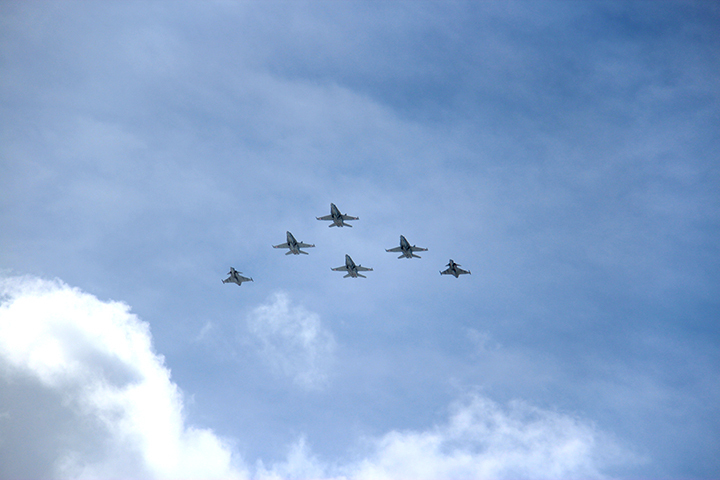 They were all in amazingly good condition, except for minor damage to one. Lia paid $2,000 for a similar one a few months back, so we asked the price. We were prepared to pay $1,200 for one. The dealer said he wanted to sell them as a group. How much, you ask? $550!!! I couldn’t believe it was for the whole group, but it was. Dealers clearly remember every single time they make a score and this was one of them. Lia was on a high for hours. Fortunately for her and unfortunately for me, Lia collects them, so the profit will not be realized for a long time.